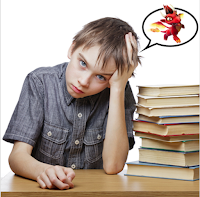 I write for kids, many of whom aren’t avid readers. You probably know the ones. They’d rather eat raw liver and overcooked lima beans than pick up a book for fun. It’s not that I don’t love the fact that die-hard readers like reading my books too, but it’s the kids who have a hard time finding “the right book” that keep me chugging along. One of my sons arrived late to the reading game. He was an “emerging” reader long after many of his classmates were proficient. He plodded along, forcing himself to read what was required, but hating it almost every step of the way. Often he was assigned books that didn’t speak to a small boy with a big imagination who preferred spending most of his time in the woods, dressed up like Frodo and slaying invisible dragons with a majestic plastic sword. His reading phobia came to a head in the 6th grade. Around our house we call it the Dreaded Three Cups of Tea Incident. The entire school was assigned to read that book over summer vacation. I’d inhaled it myself six months earlier, several years before 60 Minutes broke the news that Greg Mortensen’s memoir was chock-full of “alternative facts.” At the time I loved that book because it spoke to my curiosity about girls’ education and Afghanistan. Maybe my son would have loved it too if had been about three cups of tea, magically laced with a potion from Hogwarts. Full disclosure. I did the mom thing. I called his school and told the librarian I was going to find some substitute summer reading for him. Books that would grab him and refuse to let go. By the end of the summer, after reading a stack of mom-chosen novels, at last he understood that delicious feeling of lying on the couch, compulsively turning pages, wondering what happens next. 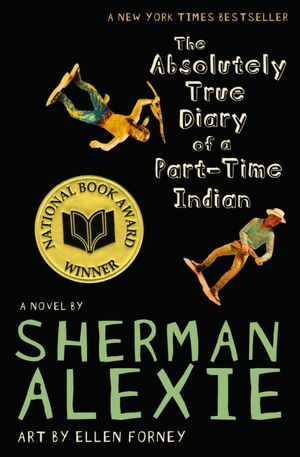 I think this is an appropriate time to give a shout-out to Sherman Alexie, who played a big part in my son’s summer salvation. If you haven’t read his thoughtful, hilarious, and poignant, The Absolutely True Diary of a Part-Time Indian, I highly recommend that you add it to your nightstand book stack! Okay, let’s flash-forward six or eight years. I set aside my career writing kids’ computer games and scripts for animated television, to write a middle grade novel. 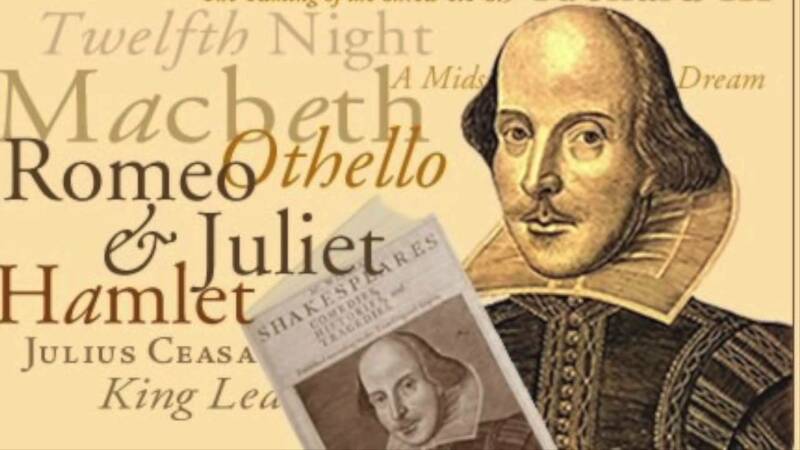 At the top of my mind was my son, the former emerging reader, who by then was in college, happily devouring and analyzing Shakespeare. I wanted to write a story for the kids who spend 28 hours a week watching television. (Yup, that’s the average for kids 6-11). I longed for them to have that same experience I had as a kid, not wanting to leave the couch, or the chair, or the crook of a tree until they’d turned the very last page of a book. Middle grade is probably the last time you have a shot to turn kids into lifelong readers, and by God, I was going to try my darndest to do my part. That became the motivation for my trilogy. I deliberately zeroed in on a story with a hook I thought just might do the trick, which involved television. I don’t know about you, but when I was a kid, whenever I got lost in a good book, I imagined I was in the story. I was Laura on the prairie. I was a spy named Harriet. I was the cool and clever sleuth, Nancy Drew. I banked on the fact that kids who preferred TV watching to book reading, might be caught up in that same imaginative fantasy. In my first book, Hello There, We’ve Been Waiting for You!, 11 year old, Madison McGee, whose single mom recently died, is forced to go live with her self-centered TV shopping show addicted grandmother, Florida Brown, in out-in-the-middle-of-nowhere, Truth or Consequences, New Mexico. (Yep, that’s a real place!) There’s a vicious junkyard dog living in the back yard and a crazy lady she’s been warned to steer clear of living next door. For Madison, life couldn’t get any worse. Then what mysteriously shows up the day after she arrives? A high-tech television set. It’s not long before Madison discovers that the TV is magic, and it allows her to teleport into whatever show is playing on the screen. Just like I was the doppelganger or a sidekick for some of my childhood literary heroes, Madison gets to become a character on a TV show. 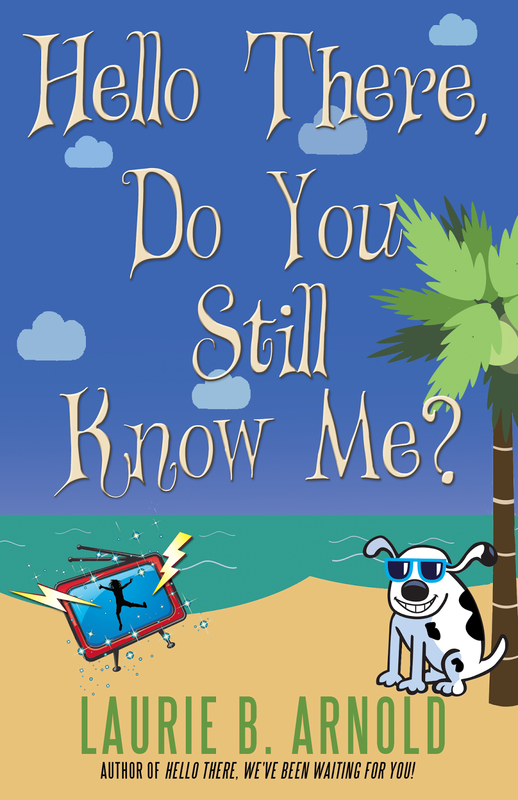 In the course of her in-the-TV adventures, she not only comes to make better sense of her new life, she eventually must save her grandmother when Florida is accidentally sucked into a reality TV show in the Amazon jungle. The story is filled with big magic, a heap of adventure, a crazy high-tech TV, and a heavy dose of humor, which all contribute to drawing kids in. At first I wasn’t 100% certain I’d muster a trilogy out of this. Then I began hearing stories from parents and teachers. Stories about how Hello There, We’ve Been Waiting for You! sparked their struggling readers to read. One in particular still makes me get a little teary. A mother reached out to let me know that her third-grade daughter, who’d never been motivated to read an entire book on her own, parked herself in their living room one weekend and plowed through Hello There… from cover to cover. It made the mom cry, just like I did when I watched my son get swept away with Sherman Alexie’s book. After that, her daughter read books voraciously. She only needed that one to kick-start her love of reading. I share that because as authors, we need those stories to keep us going! After hearing that, there was no way I couldn’t write the sequel. I wanted Madison and that TV to keep working its magic. I began making notes for Book Two. 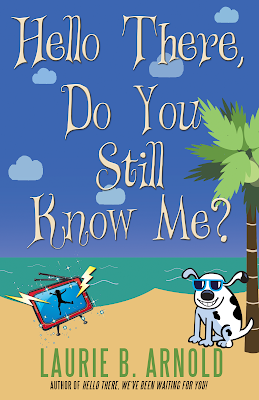 In her latest adventure, Hello There, Do You Still Know Me?, Madison heads off to Costa Rica where she’s reunited with the “crazy” lady next door (who as you can probably guess, didn’t turn out to be so crazy after all). She’s also joined by her two best friends, Violet and Noah, although their dreams of lazy beach days quickly come to a screeching halt when Madison’s grandmother shows up on their doorstep, crashing their summer vacation. Florida is ill with a mysterious disease she picked up in the Amazon jungle and the doctors are stumped. In order to fix her, they’re going to need some Big Magic. The good news is that there’s a woman who can help. The bad news? She’s been dead for five years. Cue the magic TV. Only this time Madison and her friends use it as a time machine to travel back to Truth or Consequences, 20 years in the past. It’s there that Madison meets up with her mom, Angela, who is only 14, and her grandmother, Florida, who is blonder, brasher, and even more unhinged. Madison has her work cut out for her. In addition to tracking down the magic to save Future Florida, she has to help her mother learn how to navigate her complicated relationship with her mother/Madison’s grandmother and guide her to live the life she’s meant to live. (Are you still with me? Writing time travel made my gray matter squirm!) In addition to the hook of the magic TV, there a heart piece that I hope will equally draw in those reluctant readers. When I was young I used to imagine meeting my parents when they were kids. What would they be like? Would I have liked them? Would we have been friends? As I’m writing this, I realize maybe there’s another reason motivating me to pick the stories I do. For hours a day I get to relive my childhood, diving into tales and fantasies that spoke to me when I was young. I’m writing what I would have loved to read myself. (Wait a minute! Is that Peter Pan I hear singing “I Won’t Grow Up” in the next room?) But other than my inner Peter Pan, the captains of my ship are still those emerging readers who have a hard time finding the “right” book. If it’s one of mine that does the trick, I’m honored. And I’m hoping, just like it happened with my son, that once they’re hooked they’ll never turn back. And who knows? They might even fall in love with Shakespeare. Laurie B. Arnold has two grown sons and lives with her amazing husband and perfect fuzzy dog on a rocky beach on Bainbridge Island in Washington state. She also spends a lot of time in Santa Fe, New Mexico. She’s worked as a seedling planter in a nursery, an assistant teacher with developmentally disabled children, and a video producer. 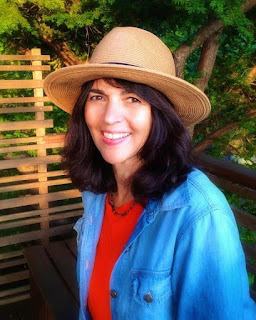 Laurie has written and designed countless children’s interactive games, a trio of picture books, and scripts for animated kids’ TV shows, including Dragon Tales. Her first novel, Hello There, We’ve Been Waiting for You! – the first in the Hello There trilogy – was a finalist in the Foreword Reviews 2013 Book of the Year Awards for Juvenile Fiction and was a New Mexico Battle of the Books pick for 2015-2016. In this sequel to the popular kids' novel, Hello There, We’ve Been Waiting For You!, Madison McGee and her best friends are visiting her old neighbor Rosalie Claire in Costa Rica. Their dreams of lazy summer beach days end quickly when Madison’s wacky grandmother, Florida, shows up on their doorstep dangerously ill with a mysterious ailment. When the MegaPix 6000 shows up again, Madison and her friends have to figure out a way to turn the magic TV into a time machine so they can save Florida. Once the intrepid trio hurtles into the past, a dizzying adventure unfolds, filled with heart-filled, unexpected consequences. 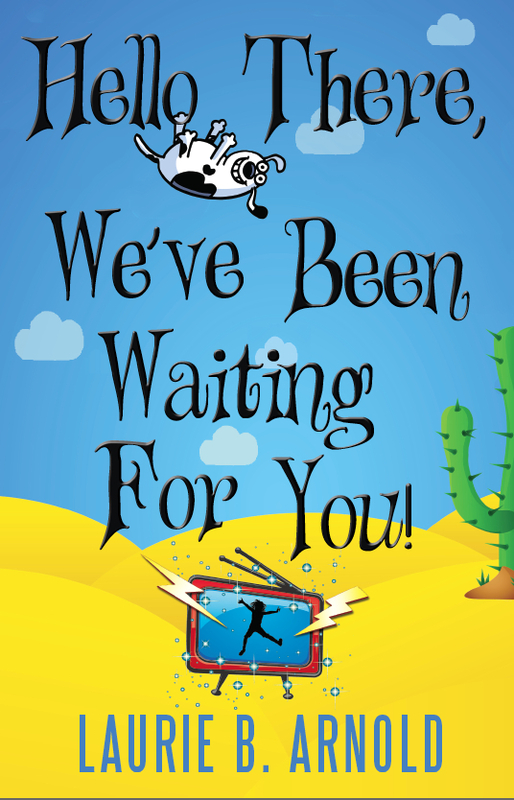 Kid Lit Reviews: “I think middle grade kids and adults would love reading Hello There, We’ve Been Waiting for You. There is lots of humor and heart, a bit of silliness, and the final television teleporting trip is filled with exciting action. I love that the author wastes no time getting to the plot and moving it forward. Girls may seem a better fit for Hello There, We’ve Been Waiting for You but boys should not discount this story. There is much in this story of new relationships, love, and acceptance that boys will also like Hello There, We’ve Been Waiting for You." Dad of Divas blog: “Hello There, We’ve Been Waiting for You! is filled with delightful characters and wild adventure, and bound to be a classic. And what is certain, middle grade readers have a strong protagonist they can admire in one Madison McGee, who, after all, can teach adults a thing or two about telling the truth and finding love and compassion in the most surprising of ways."